Evernote App Free Download That makes the claim that it will help you remember everything. The app is named Evernote and it's a productivity app that allows you multiple input options to save your ideas throughout the day onto your mobile device and have them ready for you when you need them. Evernote App automatically uploads all of your information to a remote account every time you save it so you won't ever lose your notes. 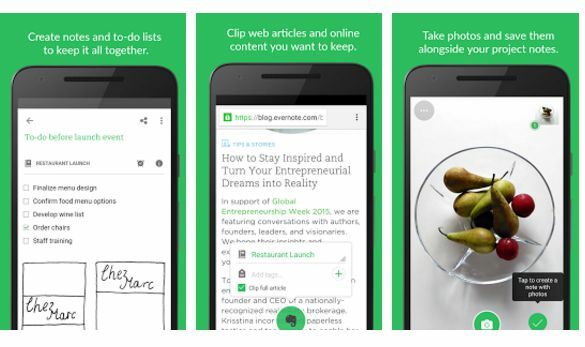 So will Evernote help you remember everything? Great ideas mean different things to different people. To the businessman a great idea can translate into a fortune or an artist may find a way to ultimately express themselves. So if ideas are assets, what are you doing to manage yours? Sticky notes and notepads are cumbersome and get lost. Even most notepad apps offer little in the way of sorting or management. In my experience Evernote App is far superior to any other note keeping or list management app i've found and I believe i've used it every day since I downloaded it. When i'm not at my desk and I want to get some work done I can record, upload, and manage my thoughts quickly and easily. 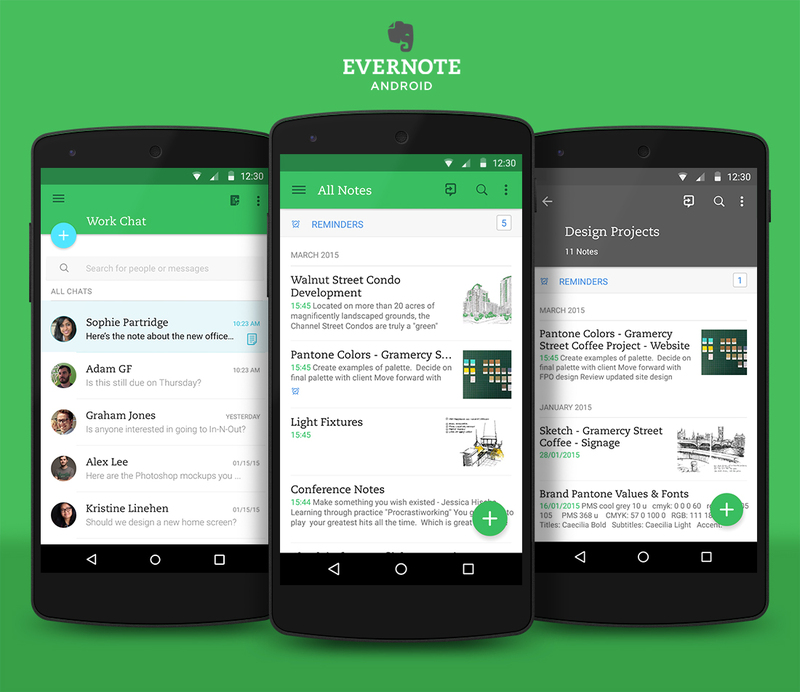 So let's take a look at Evernote. Evernote is an advanced note keeping and organizational tool. It's a great way to organize information and ideas while at your desk or on the go with easy-to-use input options. This is much more than a scribble pad and if you put in the time to learn the many things that the app can do you can get a lot out of it. Keep and manage audio, video, images and notes in the same place. The app is very flexible and can be customized at almost all levels. Buttons and icons can be swapped out or changed to access whatever features you wish. Any functionality you don't believe you will need can be hidden. The widget associated with this app can be placed directly on your home screen and allow you fast access to certain aspects of the app. This is very convenient when using the dictate function while driving because you can record and upload any thoughts or ideas you might have with a single touch of your phone without having to cycle through menus to get to the speech to text function. Touch your phone, dictate your message, and you are done. If you have a list that you need to modify or monitor frequently such as a grocery list then you can have it sitting on your home screen while you shop. When you are at your desktop Evernote has a browser interface so you can access the notes you've been keeping. Remember everything that you record using Evernote is uploaded to your account when you save it. All of your notes and lists can be recorded using dictation. The speech to text functionality of Evernote is one of its strongest points. I thought initially that the speech to text would be redundant because almost all Android phones have a native speech to text but I was very wrong. The dictation functionality of Evernote it's what I use most frequently and I think that'll be the case for most users. All you have to do is turn on the dictation function and the microphone will stay active and record everything that is said until you turn it off. The native speech to text on Android will shut down automatically if you pause which can get aggravating. The dictation mode is great when you're in the car and you want to make a note because you can basically touch your phone once to record everything and upload it. Although punctuation is an issue the words and phrases are still recorded and can be punched up later and corrected. If you want to record the minutes of the meeting this app is perfect for that. Evernote also offers what it calls a "skitch" function. This will allow the user to draw and take notes directly onto images and save them for future use. While some may find this helpful I use this functionality the least. Evernote is a powerful list management system. I won't start a project without it and all of my daily tasks are organized and monitored with Evernote. The checklist feature alone would be worth it for me but there's so much more that goes along with it. As a blogger who publishes on many different sites I have specific lists set up for each one with all the login and contact information I need tied to it which means I no longer get confused as to what content goes where Visual Memories is the image capture function of the app. The premium account is $5 dollars per month or you can prepay for a year at $45. The premium upgrade is well worth the price but if you're not sure if you will use the app you can always spend some time with the free app or buy one month for $5. You can upgrade to a prepaid year when your account expires if you choose. I believe you're going to buy this for a year after trying it.